I guess this book is a reminder for us to slow down. If you're interested in winning, US residents have through 3/20 to enter. Good luck. Maybe it's the colors, or the soul-expanding vistas, or maybe it's just the idea that harmony can exist on a single square of canvas, but there is something in art that makes it both calming and inspiring at the same time. 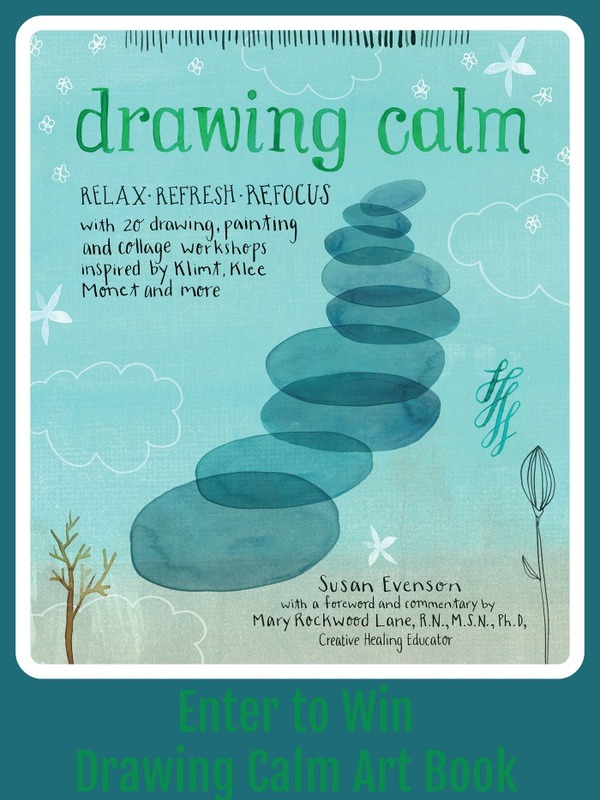 Drawing Calm teaches artists and non-artists alike how to find an oasis of calm every day by using the work of master painters to inspire personal creativity. I love this book! 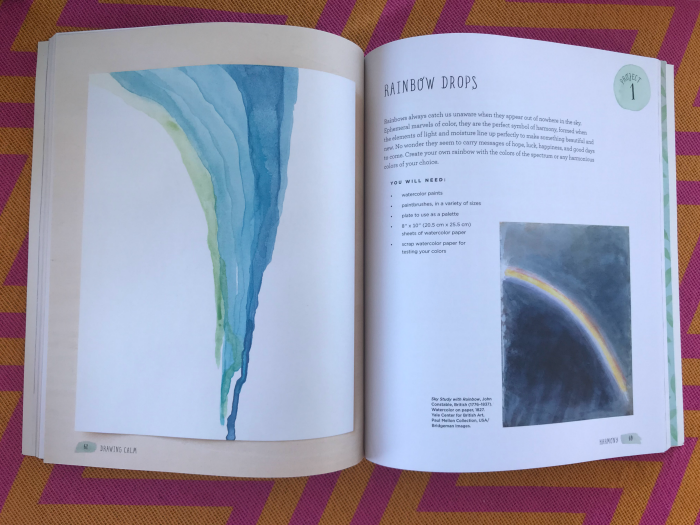 With restful, but dynamic works of art as a starting point, Susan Evenson teaches readers how to capture the light and peace of the master painters, using iconic pieces for inspiration. The point is not to try to copy the master works, but to let them guide the reader/artist on a journey to calm and inner peace. Making use of "soft" techniques such as torn-paper collage, blended pastels, and wet-on-wet watercolor, this workshop encourages stress-free creativity for artists of all skill levels. 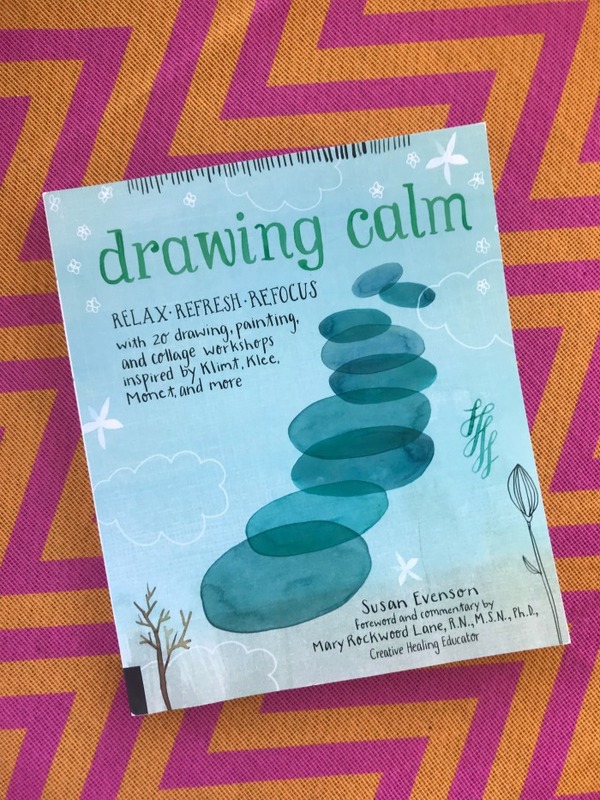 Perfect for anyone looking for a way to supplement other, mind and body-focused stress-relieving activities (such as yoga and meditation), and those who want to explore their untapped creativity with no pressure, and beautiful results. Susan Evenson is an artist, illustrator, designer, and art director. Her clients and accounts include Bobby Flay, The Food Network, Sweet Paul magazine, Candies, Kohl's and many others. This year she was a finalist in the Lilla Rogers' Global Talent Search. Quarto Knows has books for everyone! From A- Z, from young to old, you will find amazing stories, adventures, how-to books....it is like having the world at your fingertips! Their fun books would make awesome Easter Basket fillers this Easter! Visit Quarto Knows and check off a few names on your shopping list! I know the giveaway is a book but the question to answer on the blog is "What color would you choose if you won?". Not sure that makes any sense, but I will say that I love the blue cover on the book. I clicked on the link to the book and it looks like it would be really relaxing. Thanks for heads up. Told host to fix. This looks like a great book. Drawing helps to calm me down and clear my head at the end of the day. It helps my mind divert from any stress to a more calm serine place. Listening to music inspires me to draw and be creative,i get lost in the songs and start drawing and I don't realize how much time has gone by. For me drawing is a stress reliever. I find it is a great way for me to unwind. Drawing/coloring is very relaxing. Pop some earbuds in and get lost in the moment while you unwind.